You searched for which does not fit your . We've redirected you to 164-229, which has the proper fitment. • Extends your battery life. • Seamlessly attaches to the back of your GoPro to increase battery life. • Features 15% more battery life than the previous 2nd generation Battery BacPac. • Perfect for all-day adventures. • Stay powered during long rides where charging or swapping in a fresh battery is difficult. 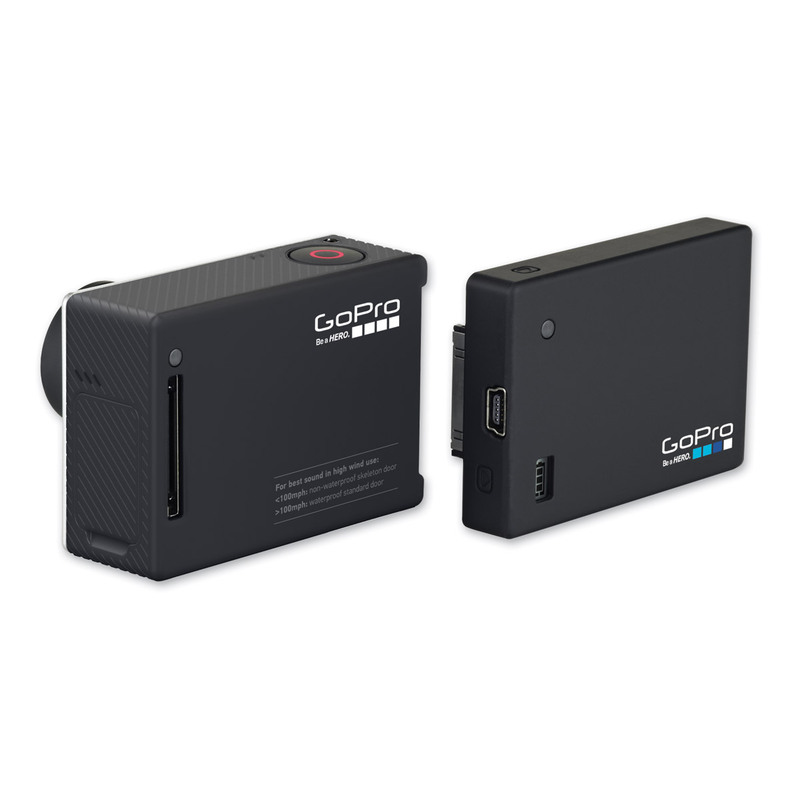 • Low-profile design keeps your GoPro as small and light as possible. • An LCD window displays the battery level or charging status. An LED light indicates the camera's recording status. (sold separately), or a computer. • Compatible with the Standard Housing. • The included BacPac Backdoors allow you to use the Battery BacPac with your Standard Housing. • Includes a Standard and Skeleton BacPac Backdoor. • The Standard BacPac Backdoor offers waterproof protection to 131' (40m).